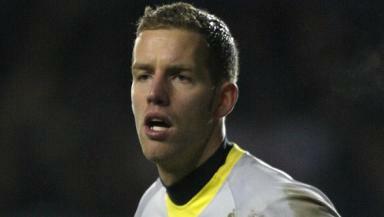 Falkirk have agreed a deal to sign Canada goalkeeper Josh Wagenaar. The 24-year-old has agreed personal terms for a one-year contract and passed a medical following a two-week trial with the club. The former Den Haag and Lyngby player will complete his free transfer from Yeovil when international clearance comes through. Falkirk manager Eddie May told www.falkirkfc.co.uk: "I am delighted to bring Josh to the club. His training performances have been excellent, he has a genuine work ethic about him and he has settled in very well." He added: "Jim Preston, the goalkeeping coach, has been delighted with him and is sure that he will continue to progress here." Wagenaar, who won the second of his international caps in June, made 28 appearances for Coca-Cola League One side Yeovil last season before deciding to move on.